Maurice “Shang” Chadwick played basketball for two years at New Richmond High School in Indiana, before he transfered to Crawfordsville High School. A suspension, however, kept the team from playing state schools, so a schedule was arranged with independent teams from all over the Midwest. Despite the rugged schedule, team went 30-2. 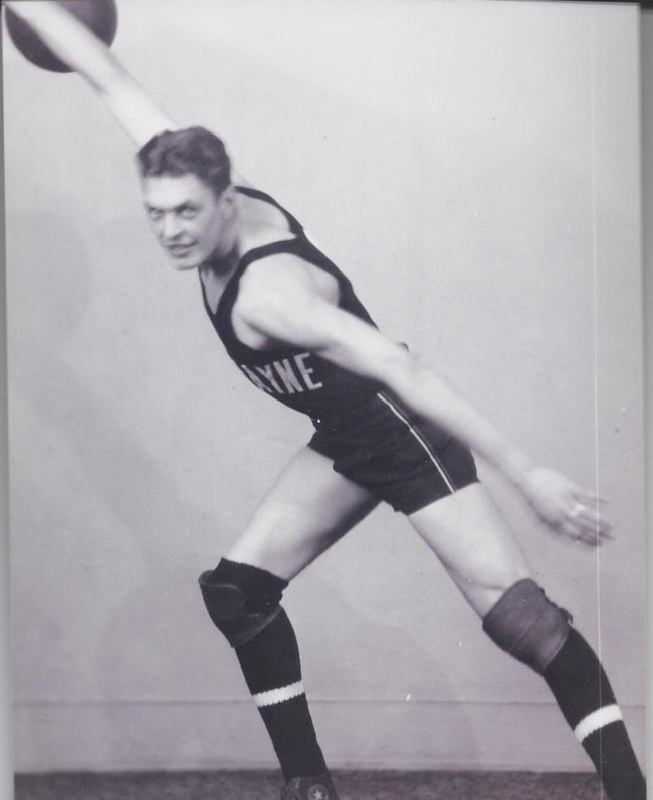 After graduating from Crawfordville High School in 1920, Chadwick attended Purdue University for one year before transferring to Washbash Colllege where he earned four letters in basketball. Chadwick played center on Wabash’s “Wonder Five” basketball team that finished 18-1 in 1924-25, losing only to Wisconsin by one point and beating Kentucky 57-10. After a year barnstorming with the New York Celtics, Chadwick played for six seasons with the Fort Wayne Hoosiers in the American Basketball League. Chadwick was always ranked among the best centers in the league and was instrumental part of Fort Wayne playing in two ABL championship finals. After the demise of the ABL in 1931, Chadwick signed with yhe Akron Firestone, a midwest independent powerhouse. The Firestone won the 1932-33 National Professinal Basketball League Championship. Chadwick is a member of the Indiana Basketball Hall of Fame The Wabash College basketball facility was named Chadwick Court in his honor in 1970. Maurice Wilson Chadwick Born: Jun 9, 1901 Died: Oct 3, 1973 Hometown: New Richmond, In.